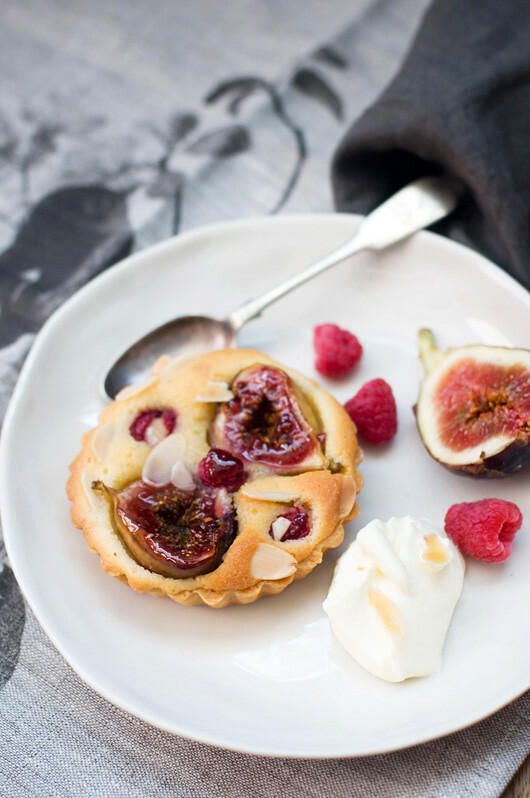 Have you ever tasted Fig and Raspberry Frangipane Tarts before? Hello everyone! 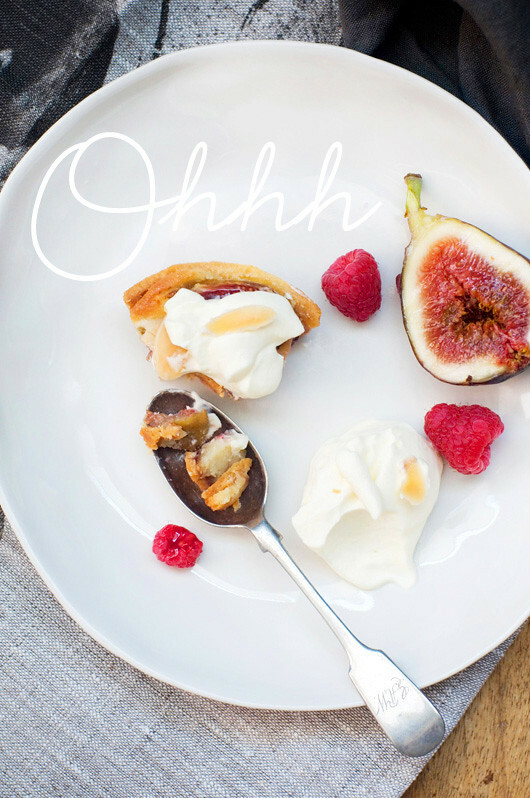 Jillian here with this month’s Delicious Bites column for decor8 where I'm going to show you how to make Fig + Raspberry Frangipane Tarts. It’s spring time in Sydney but I know that autumn is coming to the Northern Hemisphere. So for the next few months I’ll be making treats using winter and autumn produce. 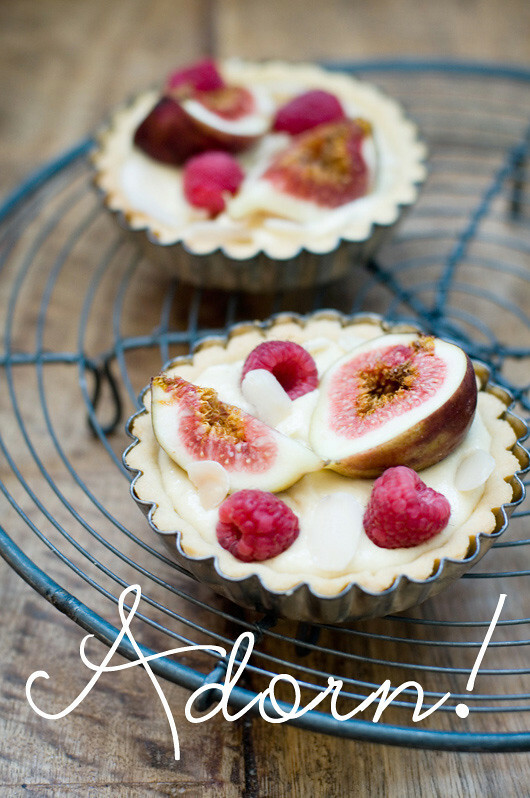 This month, I decided it was time to make something a little fancier than usual so I combined 2 of my favourite fruits with an almond flavoured filling to make individual fig and raspberry frangipane tarts. 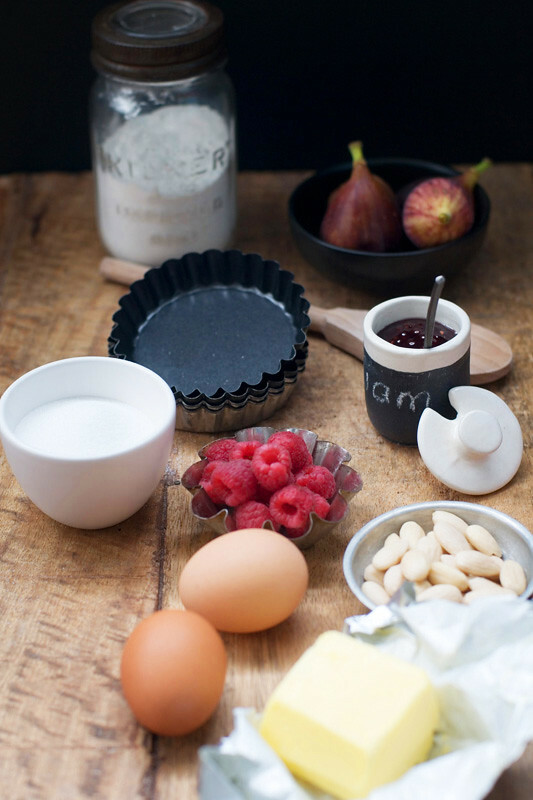 Frangipane is an almond flavoured butter cream and I use it all the time when making fruit tarts. I make different varieties depending on which fruit is in season and use different nuts as well. 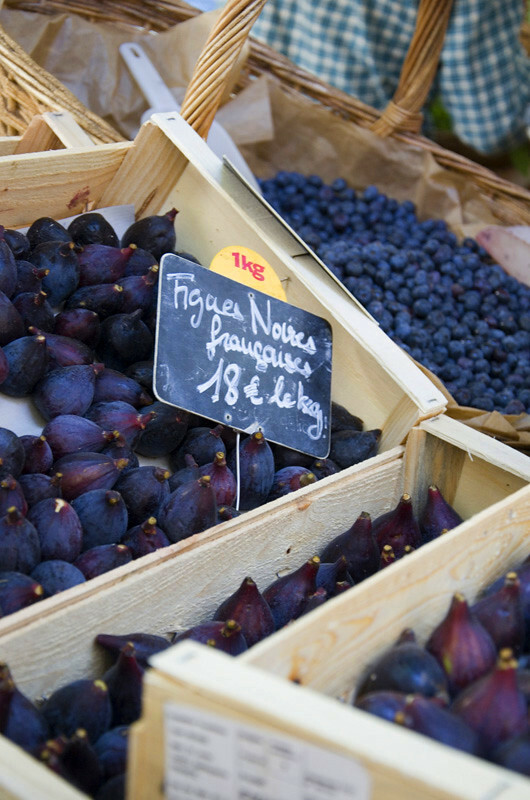 If figs aren’t in season where you live you can make this with any other kind of berry or soft fruit. Rhubarb, pear or plum frangipane tarts are particularly delicious but if you come up with any other flavour combinations, I'd love to hear them. I put a layer of jam in the bottom of the tart shell which matches the fruit used to top the tart. I decided to use raspberry jam this time but you could always use fig jam or some other red berry jam. If the thought of making pastry terrifies you, you can always buy pastry from the freezer section of the supermarket and I’ll let you in on a secret, you can make the frangipane tarts without pastry. Just grease and flour some muffin or friand tins and bake the filling in those topped with the fruit and you’ll still end up with a yummy treat. When the tarts come out of the oven I brush the filling with a little jam to make them look glossy. How To: To make the pastry, combine all the dry ingredients in a food processor, and whiz for a few seconds until well combined and free of lumps. Add the cold butter and whiz until the mixture resembles breadcrumbs. Add the egg and sufficient cold water and whiz until a soft dough just starts to form around the blade. Remove the dough from the food processor and gather the pastry into a ball; flatten slightly before wrapping in plastic and placing in the fridge. Refrigerate the pastry for 30 minutes. Place the dough onto a lightly floured surface (I use greaseproof paper) and roll out thinly with a rolling pin. Grease six 10 cm loose bottom fluted tartlet tins. Line the six tins with the pastry and trim the edges of the tart tins with a sharp knife. Lightly prick the pastry surface with the tines of a fork and return to the fridge for another 30 minutes. Line the tart shells with muffin liners and fill with pastry weights or uncooked rice. Bake for 10 minutes and then remove paper and weights. Bake for a further 5 minutes or until the shells are golden. Cool the pastry shells on a wire rack. While the tartlet shells are cooling, make the frangipane filling. Place butter and caster sugar in a food processor and whiz to combine. Add the egg, the almond meal, the flour and the rum or orange juice, then pulse to combine. 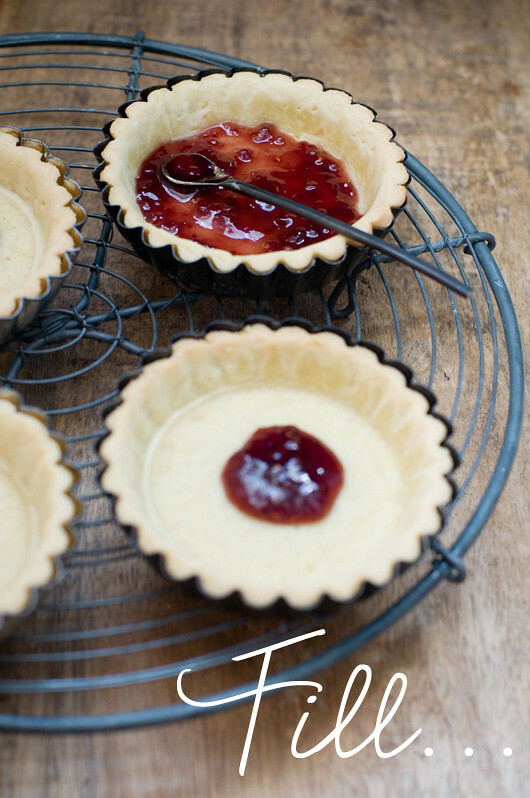 Spoon 1 – 2 teaspoons of the raspberry jam over the base of the cooled tart shells. Evenly divide the frangipane filling between the tarts and gently spoon over the jam. Place 2 or 3 fig halves cut side up into the frangipane filling. Tuck in a few of the raspberries and sprinkle a few flaked almonds over the tarts. Place the 6 tartlets onto a baking sheet and place on the middle shelf of the oven. Bake at 190°C/375°F for 30-40 minutes until the frangipane filling has slightly puffed and is golden brown. 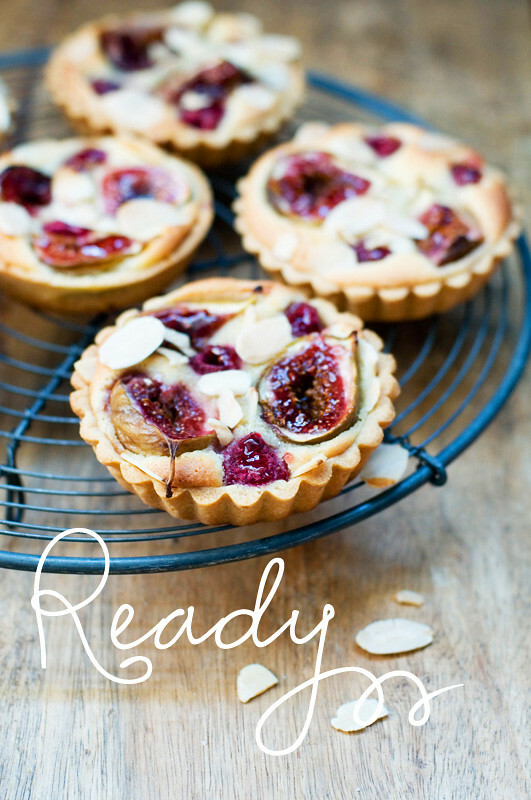 Baking time will depend on your oven so start checking the tarts after 20 minutes. Remove the tray from the oven and cool the tartlets on a wire rack. 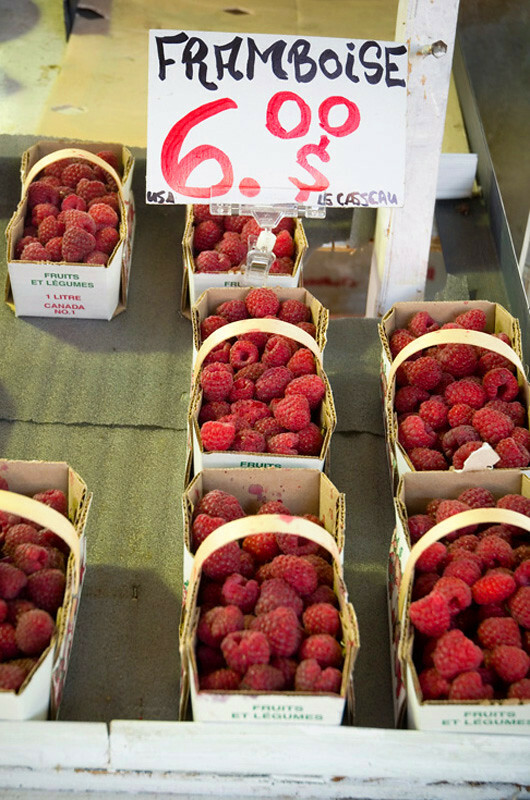 Gently remove the tarts from the tins and serve with cream and remaining raspberries. 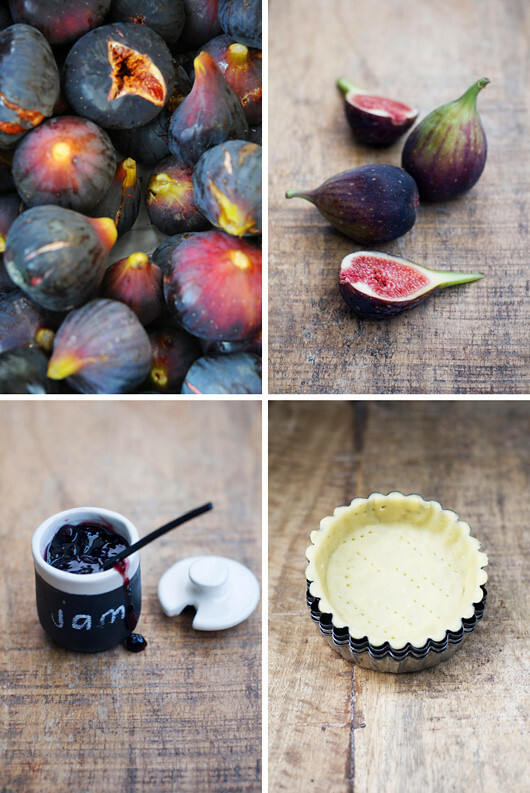 If you like you can glaze the cooked figs and raspberries with some warmed, strained raspberry jam. I love individual tarts but if you’d like to make one 23cm/9 inch tart, the pastry recipe is enough to line a 23 cm tart shell. You'll need to make a double batch of the frangipane mixture and you may need to adjust the baking time a little.